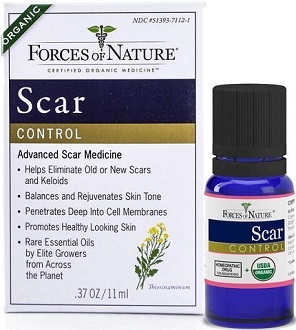 This scar recovery gel appears to be packaged in an attractive container, but it is not at all clear what it does and how effective it is. Although we don’t want to always give focus to what is on the outside, the reality is that we do, and it is upsetting to have a new scar or wound that is red and bulging. It also highly depends on where your scar is located. But today, with the hope of finding a new scar removing gell, we are removing SkinMedica Scar Recovery Gel, which promises to soften the appearance or red or pink scars that you have and also improve the appearance of your skin to remove signs of premature aging. The primary Ingredient is Centelline; unfortunately, there is no explanation by the manufacturer why they have used this as the main ingredient. The manufacturer’s website in general leaves a potential consumer with a lot of questions. The other ingredients are Water/Aqua/Eau, Poloxamer 407, Bulbine Frutescens Gel, PEG-40, Hydrogenated Castor Oil, Propylene Glycol, Dimethicone, Olea Europaea Leaf Extract, Centella Asiatica Extract, Xanthan Gum, Lactic Acid, Potassium Sorbate, Sodium Benzoate, and Phenoxyethanol. The directions of this product state to apply the gel once the wound (everyday cuts) or scars that have healed where there are no scabs. The recommendation is to apply twice a day – once in the morning and then again at night. You may continue applying the gel until the scar appears flat and is no longer red. Caution states that the product is only for external use and should not be applied to areas where the wound is open, and to avoid all contact with your eyes. They also recommend washing your hands before and after using, and starting to use this product as soon as your wound has healed and/or the stitches have been removed. To purchase a 14.2 gram/ 0.5 oz bottle of this product on the manufacturer’s and third party website, the cost is $44. A 56.7 gram/ 2 oz bottle sells for $98. The manufacturer states that you should be sure that you are getting authentic products and so they discourage you from purchasing from unauthorized dealers. They have listed all the authorized companies on their website and you can search for the closest one to you by entering your US zip code. They also list all the unauthorized dealers on their website. We did a lot of searching for a guarantee or information about a return policy both on the manufacturer’s website and on the internet generally. We found absolutely nothing. If there is a return policy or some type of guarantee, it’s not at all apparent as to what it is. This scar recovery gel appears to be packaged in an attractive container, but it is not at all clear what it does and how effective it is. And there is no other way to spin it except that the product is rather expensive and comes with no assurance from the manufacturer that the product will even work and why the product contains the ingredient it has. Also, we are always leery about manufacturers who do not offer a risk-free purchasing option for customers who have the opportunity to purchase another product with lots of positive customer reviews and a money back guarantee. This product has mixed reviews from consumers and the website does not do a decent job in explaining the what and the why of this product. It is our recommendation to check out other competitive products with guarantees and good customer feedback.